My sweet daughter is one of my biggest supporters when it comes to quilting. I’ve made quilts for her, a baby quilt for her art teacher and a pillow for her best friend. A few weeks ago, she mentioned her math teacher was leaving on maternity leave at the beginning of June. She then asked if I had time to make a baby quilt for a boy before then. At about the same time, the wonderfully talented Cheryl Brickey of Meadow Mist Designs, came out with her newest pattern: Plus Plus. It was meant to be. 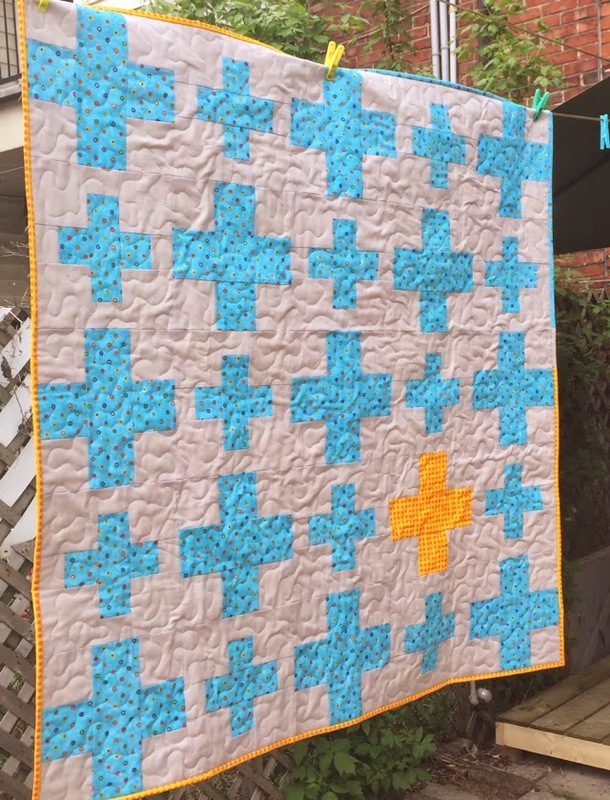 A plus quilt for a math teacher – I had to do it. I ordered a fun Riley Blake print for the plus blocks, some Kona Ash for the background and used scraps for the accent block. For the binding, I used the same prints. For the back, I found this really cute butterfly print and decided to piece 4 more plus blocks. I went with a pretty large scale meander for the quilting. 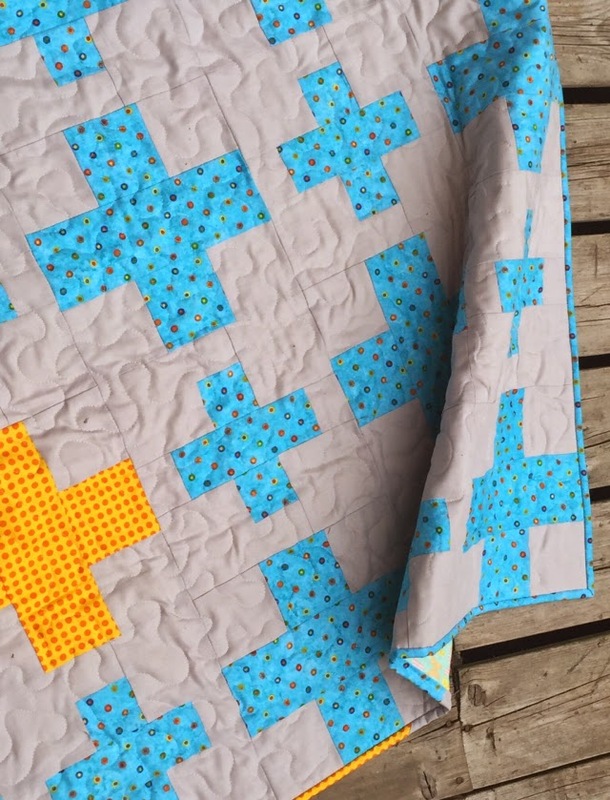 I love doing this for baby quilts – they then wash up nice and soft and cuddly. 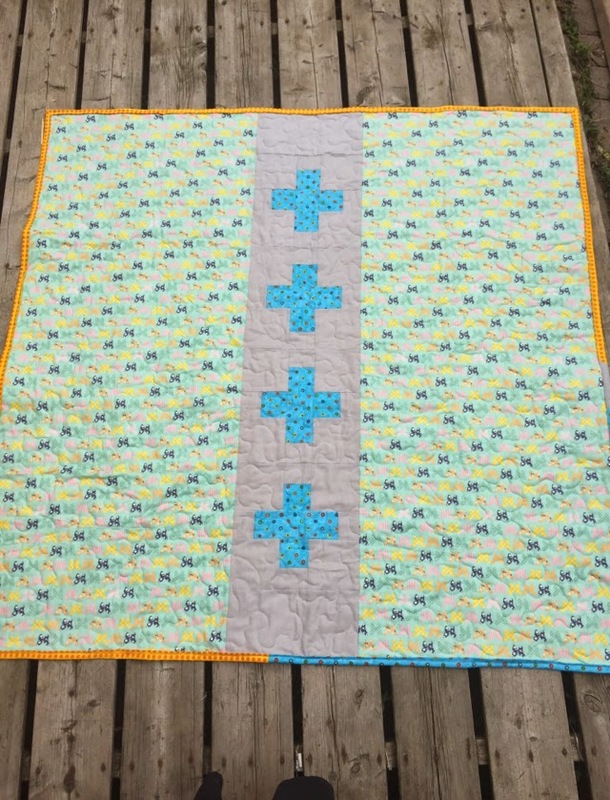 My daughter delivered the quilt this week and I’m told the teacher loved it. Linking up at Crazy Mom Quilts for Finish It Up Friday and at A Quarter Inch from the Edge for TGIFF.